$18.85 on Amazon look inside this book! The traditional honeycomb cable stitch used traditionally is often used as an all-over accent panel. 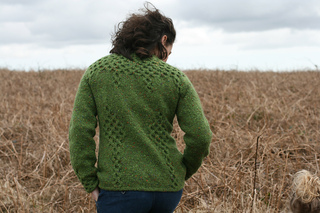 However, the honeycomb stitch has never been used like it is here in this cabled cardigan! The cable panel extends at the waist to create a naturally slim waist and decreases are worked around the yoke for a flattering and unique garment. 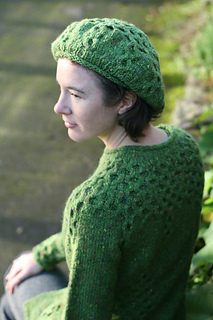 Worked in a subtle tweed green, the soft texture of the yarn creates an undulating texture with the cables. 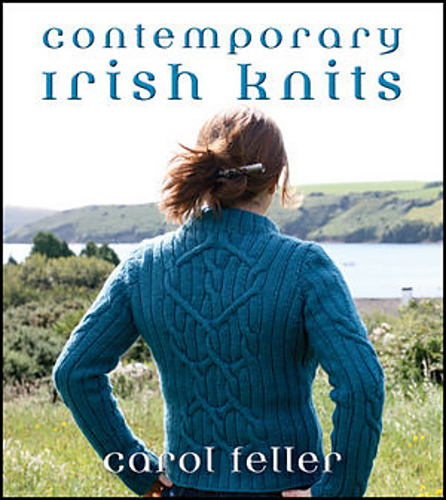 NOTE: This yarn is also sold under the “Kilcarra” and “Studio Donegal” labels.